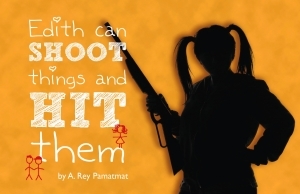 Jon Norman Schneider as Kenny and Teresa Avia Lim as Edith in Edith Can Shoot Things and Hit Them. Photo by Michael Brosilow. 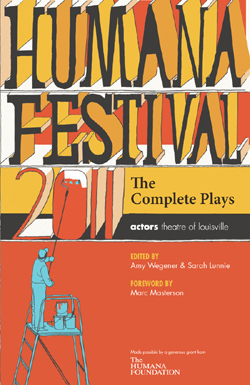 The world premiere of Edith Can Shoot Things and Hit Them closed this past Saturday as the 2011 Humana Festival of New American Plays came to an end the next day. Thanks so much to the creative team, cast, crew, and staff for such a wonderful production. And thanks to the generous and open reception, including the standing ovations that finished out every performance! I could never have dreamed such a thing were possible. I also want to thank all of those people — both in the show and the audience — who shared their personal stories regarding how their own less than traditional family arrangements tried, failed, and persevered in making their own homes. The emotional response was inspiring (and sometimes overwhelming) and, again, more than I could ever have dreamed. And, finally, if you’d like to hear May and I talk about the show the day after closing (can you hear the hints of sadness in our tone? ), check out this week’s Inexplicable Dumb Show podcast. It begins with an interview with Jordan Harrison and Annie Kaufman, the Maple and Vine team in the first half. May and I are in the latter. 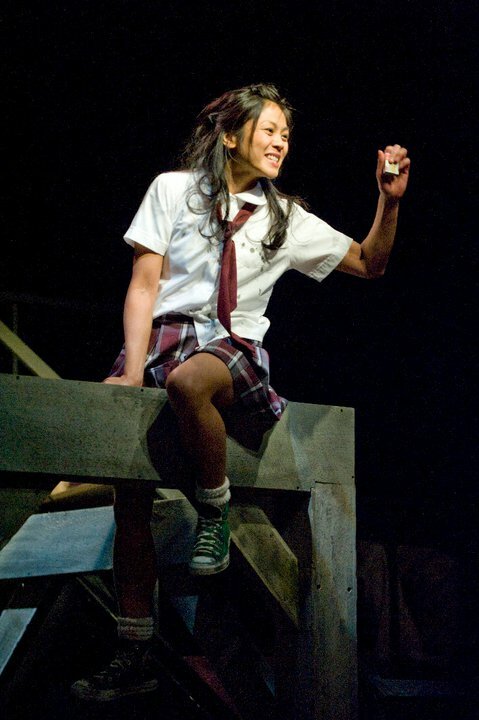 Teresa Avia Lim as Edith in Edith Can Shoot Things and Hit Them. Photo by Michael Brosilow. 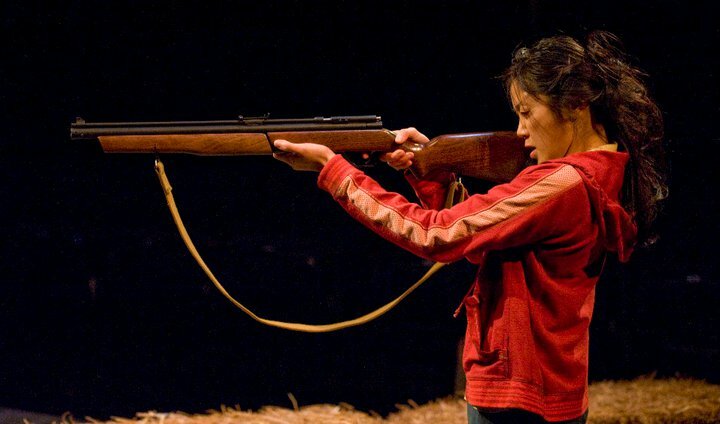 Edith Can Shoot Things and Hit Them is in it’s final week at The Actors Theatre of Louisville, as is the rest of the Humana Festival of New American Plays. 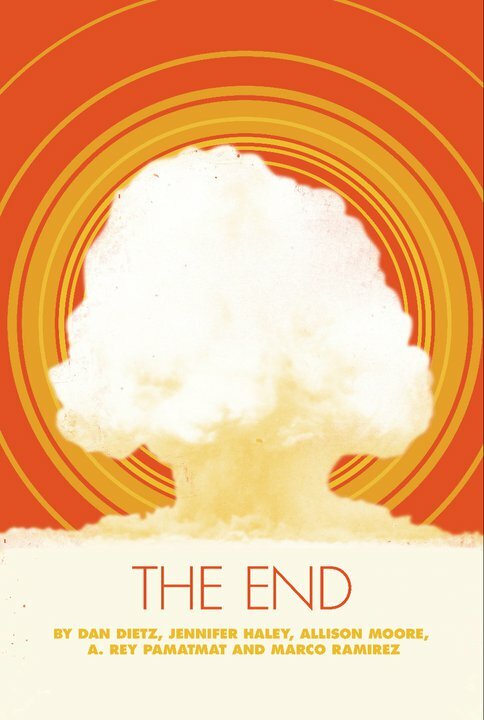 The final four performances are tonight, Wednesday, and a matinee and evening show next Saturday. Click here for tickets! My deepest thanks and gratitude goes out to all of those people who already saw it, who traveled great distance to see it, and who saw it multiple times. The fact that people are so excited about the work we’ve done has sent me over the moon. In the same vein as reactions, here are two more related press bits to get the rest of you to go, go, go! First is a piece from The Courier-Journal about influences on my writing (with a good bit of focus on Edith, specifically). The second is another positive blog write-up. One thing to note in the Courier-Journal piece is that, as of this writing, it makes a few eensy-weensy mistakes. L. Frank Baum only wrote 14 Oz books. When I said that I’d read 28, I actually meant 28 Oz books between Baum, Ruth Plumly Thompson, and John R. Neill. She also writes “instants” in the first line when it should say “instances.” I’ll send them a little note asking them to clarify those bits. 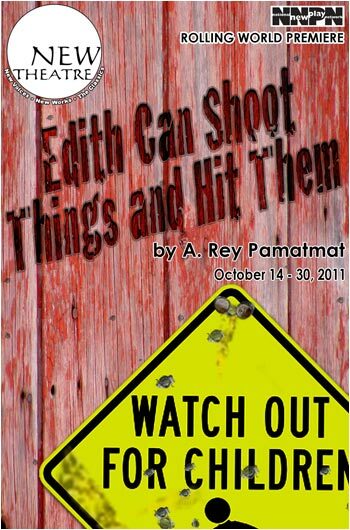 Looks like Louisville loves Edith Can Shoot Things and Hit Them as much as I love Louisville! 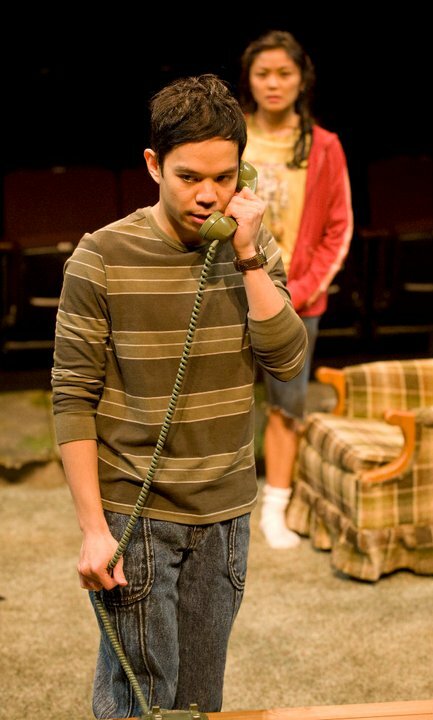 Reviews of the Humana Festival production from the local papers and arts blogs have been trickling out over the past week, and there isn’t a stinker in the bunch. 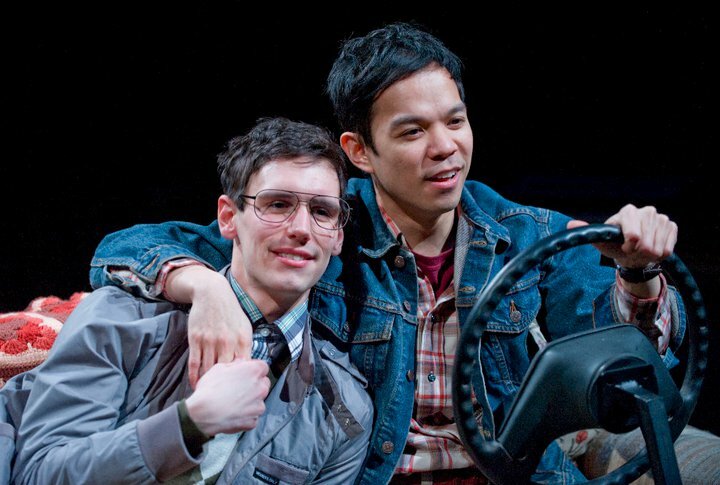 Cory Michael Smith as Benji and Jon Norman Schneider as Kenny in Edith Can Shoot Things and Hit Them. Photo by Micahel Brosilow. And while we’re going all press nutty, here’s a video of an interview that Actors’ Theatre of Louisville’s press department did with me before Edith‘s opening. 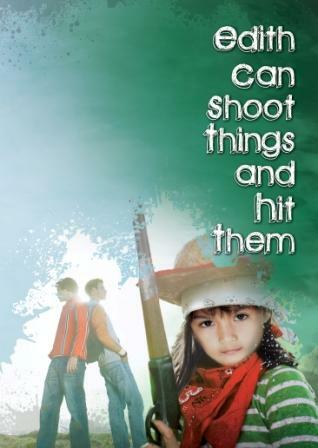 Edith Can Shoot Things and Hit Them Opens Today! Thanks to everyone — cast, crew, creative team, and theatre staff — for everything you’ve done to make this possible! I’m extremely proud of the work we’ve done, and I hope that you are, too! Just for fun, here’s a link to the announcement on Playbill.